Paintless dent repair is a method of removing dents from vehicle sheet metal using specialized manual tools and carefully applied pressure. It doesn’t take much impact for a mark to be left behind after a car bump or accident. A minor dent can be a major inconvenience for drivers since the repairs needed to remove the dent are known to be complicated and extensive. Fortunately for drivers in the modern age, collision repair technicians have found a way to simplify dent removal. Paintless dent removal is growing increasingly popular with today’s car owners who want to save time and money while restoring their car to its original appearance. The goal is to push the indented metal back into shape while preserving the factory paint. In most cases, PDR requires you to access the back side of the dent, which means carefully removing body panels, tail lights, or in some cases, interior panels. To perform PDR, you need a pathway to the dent. Once we have access to a dent, it’s time to perform the PDR repair. This is where the precision and expertise of our trained technicians comes into play. Using specialized tools, the technician starts at the dent’s outer edge and slowly massages the metal back into position. The damaged area gets progressively smaller until it virtually disappears. The dent has sharp edges or torn metal. The paint inside a dent is broken or scratched. The indented metal is situated near the edge of a panel. The dented area has had previous body work done. If the dent is a good candidate for paintless repair, this option offers many advantages over traditional dent repair techniques. 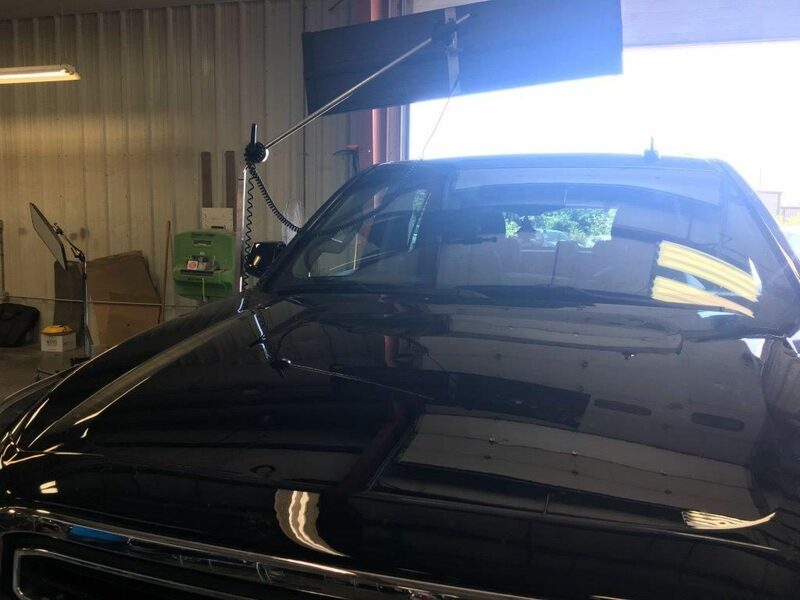 At Great Plains Auto Body, our highly trained technicians have the tools and the experience to perform expert paintless dent repairs that get your car looking like new again. It is important for PDR jobs to choose a local place. Avoid fly by night places. Do your research and have your car repaired at a locally owned and operated in the community for some time.If you have a large dent, we can handle that too. Give us a call!